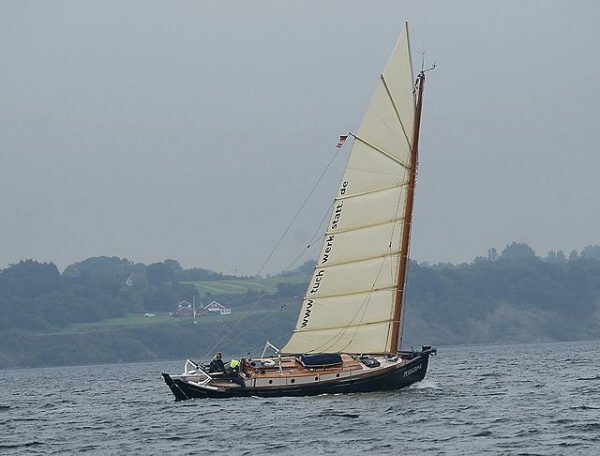 Built by the present owner and launched in 2005 after a 3 year build, her lines are that of a Loch Fyne skiff and were taken from an article in The Boatman magazine about the original Loch Fyne skiffs and the work they did. 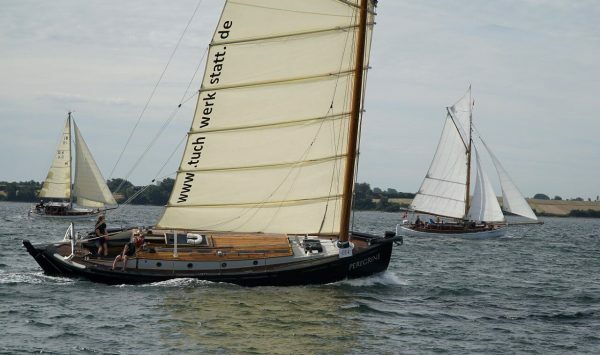 With this inspiration the owner built a very tough and capable boat, He opted for a junk rig, designed by the Norwegian Victor Winterthun, well known for his expertise on this type of rig. 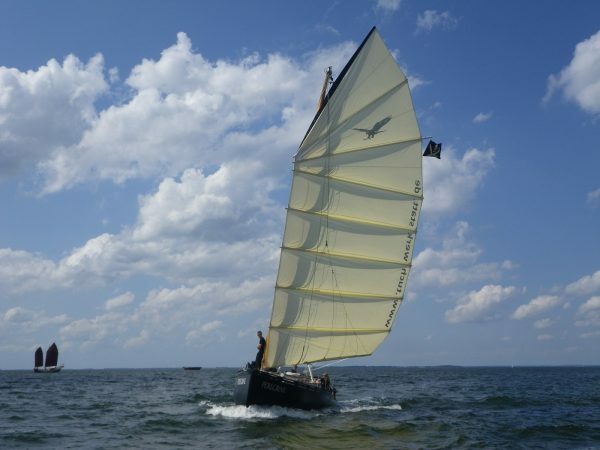 The result is a very fast, powerful and extremely unusual boat. Her interior is very smart with an open plan layout and lots of space. Her decks are wide and clutter free and the rig makes her easy to handle. 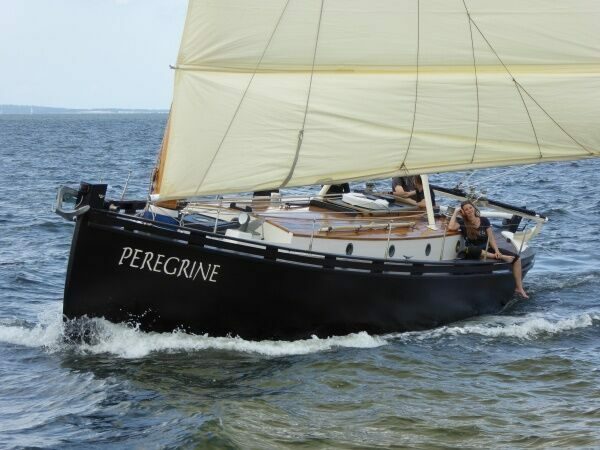 She has been cruised and raced extensively around the Baltic coasts of Germany, Sweden, Denmark and Poland, proving herself as a fast and capable yacht. Carvel Larch planking, 40mm/1 ½” thickness, splined with epoxy strips. Laminated pine frames, spaced at 50cm/20”, size 100x100mm/4”x4”. Fastened with stainless steel screws. Lead external ballast keel of 2 tons. Lead internal ballast of 1.5tons. Galvanised steel keel bolts, last drawn 2005. Larch on plywood deck, painted. Self draining cockpit with tiller steering. Painted oak and larch coachroof coamings, larch on ply coachroof deck. 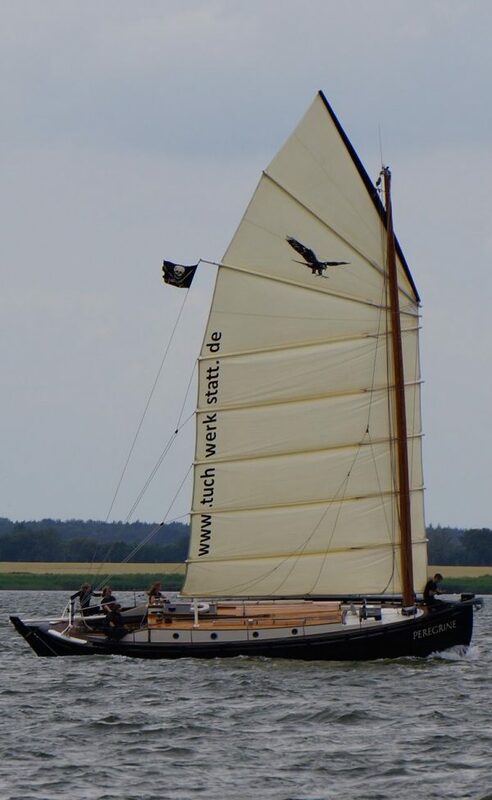 Single mast junk rig, designed by Victor Winterthun, a Norwegian junk rig expert. 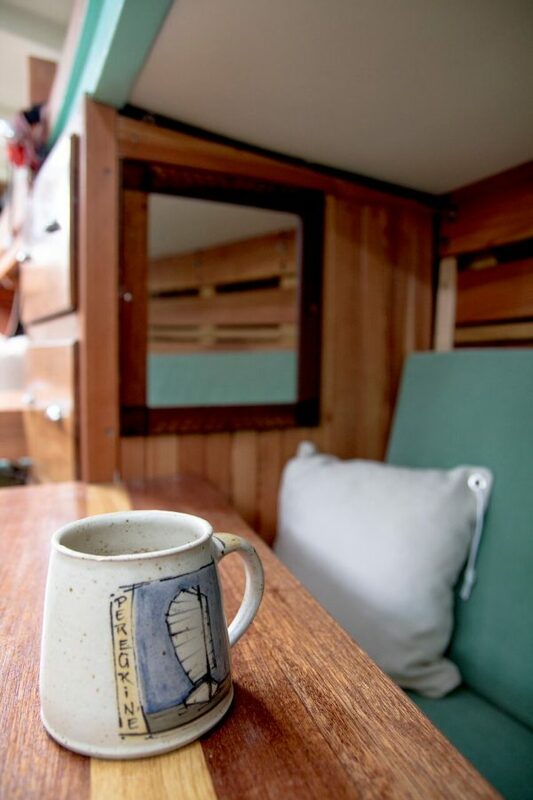 Solid wooden keel stepped varnished mast. It is 14 metres long and weighs 300kg. Alloy boom and aluminium yard to save weight. 1 self tailing Lewmar cockpit winch and 3 non self tailing Anderson winches. 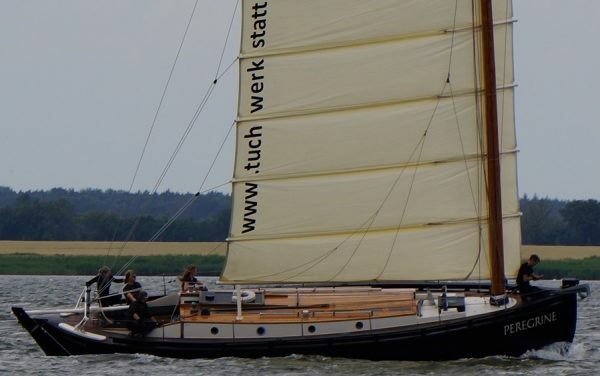 Mainsail by Tuchwerkstatt – 85sqm – 2 yrs old – good condition. It has 8 cambered panels between rigid aluminium battens. Volvo Penta MD19 75hp from 1968. Volvo Penta gearbox with single lever controls. Electric start. 3 blade folding prop on the centreline. Fuel: Stainless steel 100 litres, below the cockpit. Water: 150 litres in a plastic tank. 4 batteries with 12v electrics. Installed shore power system with battery charging. Bilge pumps: 1 x manual, 2 x electric. Standing headroom throughout with an open plan layout. 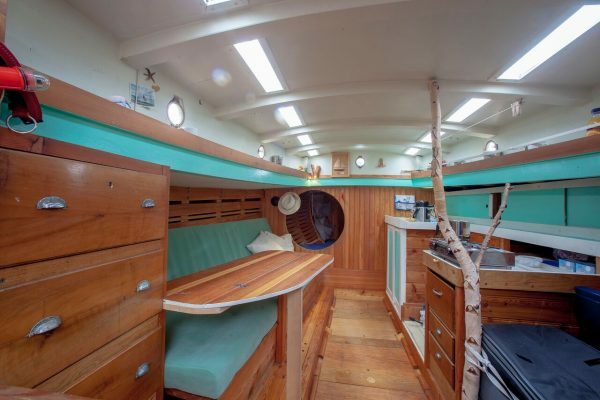 Masses of storage built into the boat throughout. Large companionway stairs rather than a ladder. 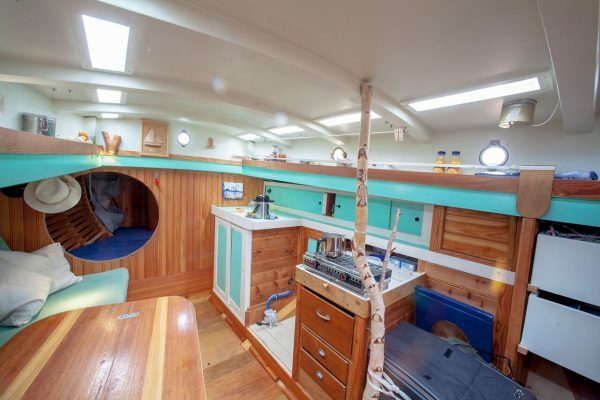 Open saloon with a settee berth to port and a quarter berth on starboard side. Centreline table moves out of the way when not required. Bulkhead at forward end of saloon with an oval hole in it for access to the berth. 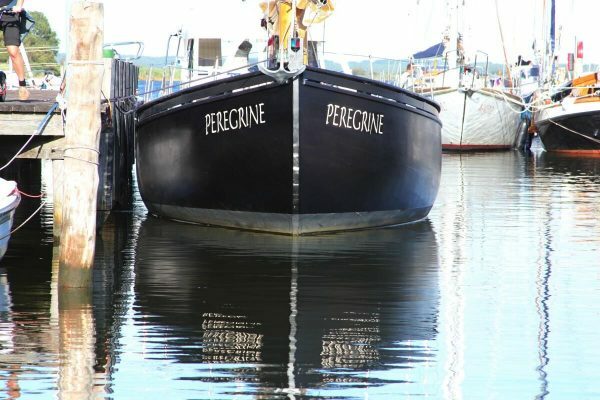 Large double V berth up forward, a very private berth/cabin. Blakes sea toilet in a separate heads compartment aft. Galley at forward end of saloon on starboard side. Origo 3000 spirit cooker with a single stainless sink, drains overboard, with manually pumped fresh water.